Bank of America Corp. (NYSE: BAC), the largest US bank by assets, is scheduled to release its fourth-quarter earnings before the opening bell on Friday, January 21, 2011. Analysts, on average, expect the company to report earnings of 15 cents per share on revenue of $25.46 billion. In the year ago period, the company posted a loss of 60 cents cents per share on revenue of $25.08 billion. In the preceding first quarter, the Charlotte, North Carolina-based bank's net loss was $7.3 billion, or 77 cents per share, compared with a loss of $2.2 billion, or 26 cents a share, in the year-ago quarter. Excluding the non-cash goodwill charge, net income was $3.1 billion, or 27 cents per share. Revenue, net of interest expense, climbed to $26.7 billion from $26.035 billion in the same quarter last year. Analysts, on average, expected the company to report earnings of 16 cents per share on revenue of $27.15 billion. The company benefited from lower credit costs, higher net interest income due in part to the adoption of new consolidation guidance, and increases in other income, mortgage banking income and card income. Industry experts have been cautiously optimistic in recent days, predicting that Bank of America and the nation’s other largest banks will exceed earlier expectations. The overall improved outlook, in part, stems from improvements in lending. Continued improvement in employment and the housing market has also added to the positive tone. The company has taken several steps to improve its capital cushion and positioned itself for profitability. BAC's loan to deposits ratio has significantly reduced over the past 3 years (to less than 1:1) and loan loss reserves are at their highest level (close to 3.8%). Meanwhile, the large U.S. banks will have to undergo another round of stress tests securing approval from the Federal Reserve to increase their dividends or buy back shares. In fact, all 19 banks that were subject to the stress tests in 2009 had submitted their capital plan to the Fed last week. All the 19 banks, including big names such as JPMorgan, Bank of America Corp. (NYSE: BAC), Wells Fargo & Company (NYSE: WFC) and Goldman Sachs Group Inc. (NYSE: GS) will have to demonstrate that they have adequate capital to address potential losses over the next two years under various scenarios. These are mainly a precautionary measure amid economic recovery. Recently, Bank of America reached a settlement with Fannie Mae and Freddie Mac of outstanding repurchase claims arising from certain home loans sold to them by Countrywide Financial Corp.. The $2.8 billion settlement helped conclude a significant portion of BofA’s government-sponsored enterprises’ put-back claims.As a result of the settlement, Bank of America said its home loans and insurance business is expected to record a $2 billion, non-cash goodwill impairment that the company can’t deduct for tax purposes. It also expects to take a provision of about $3 billion related to repurchase obligations for residential mortgage loans sold by Bank of America affiliates directly to Freddie and Fannie. The charge will have no impact on its Tier 1 capital ratio or tangible equity ratios. The bank has also been discussing similar settlement with a group led by bond giant Pimco, the Federal Reserve Bank of New York and BlackRocks, who are trying to force Bank of America to buy back soured loans. 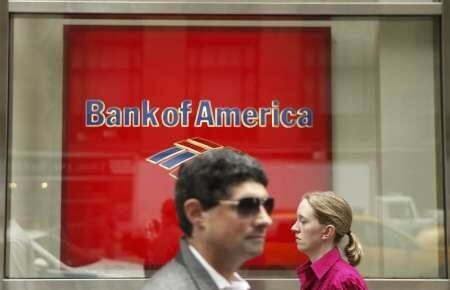 In terms of stock performance, Bank of America shares are down nearly 10 percent over the past year.